If unwinding in and around a glorious swimming pool makes up part of your ideal holiday, this is a perfect read for you. 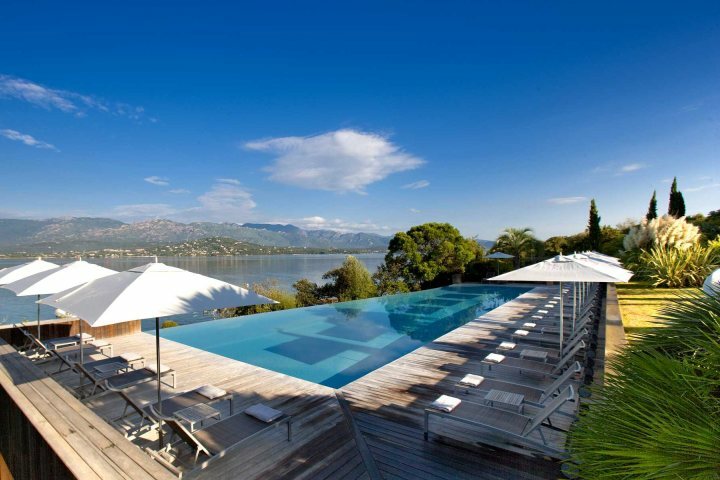 In this post, we highlight four of our absolute favourite pools which you can enjoy when on holiday in Corsica. 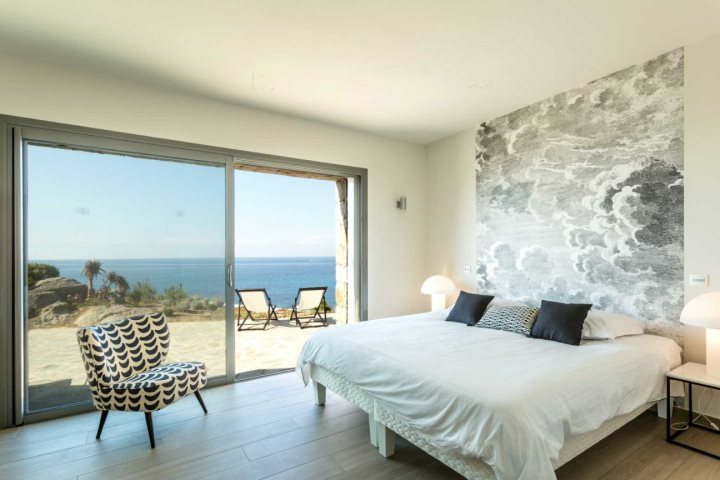 A villa where guests can literally bathe themselves in luxury, not only is it a truly individually designed property, but its views across Mediterranean hills and down to a beautiful beach are to die for. If we nudge aside the modern open-plan living area, the fantastic en-suite and plunge pool equipped master bedroom and fitness room, a wonderfully inviting infinity pool takes centre stage. Sink into the cooling water with a refreshing beverage and soak up the fabulous views and luxurious aura this property has bucket loads of. 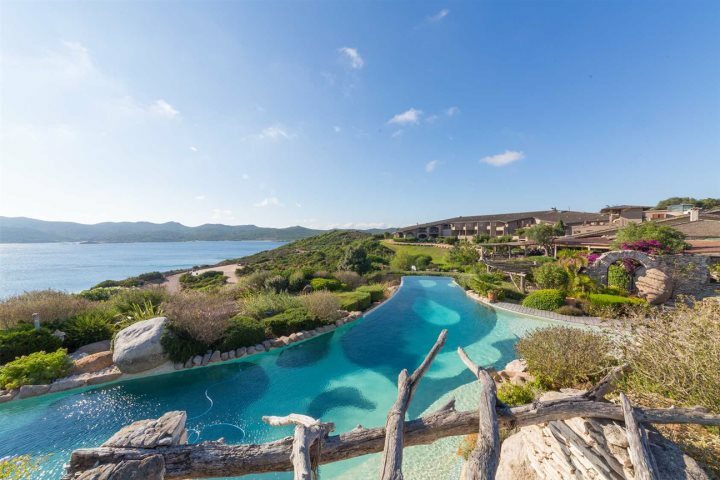 If you’ve dreamed of enjoying the luxuries of an infinity pool with a seamless view of the ocean, then you’ve come to the right paragraph. 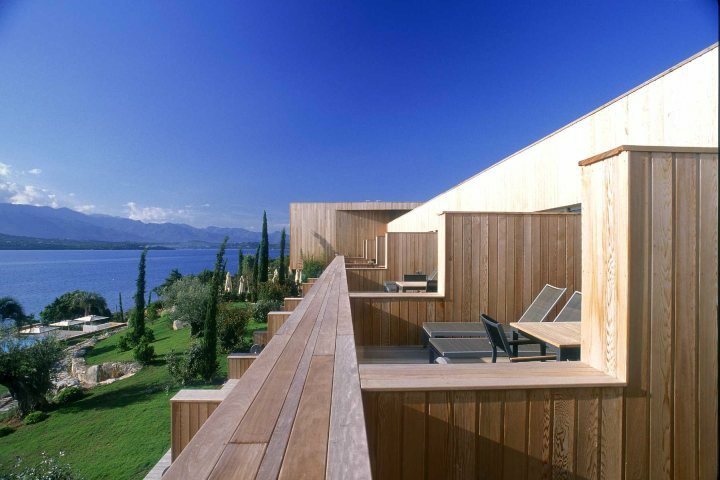 Villa Davia is located within a private estate of Marine de Davia, and offers guests the ultimate base for relaxation and second to none sea views. 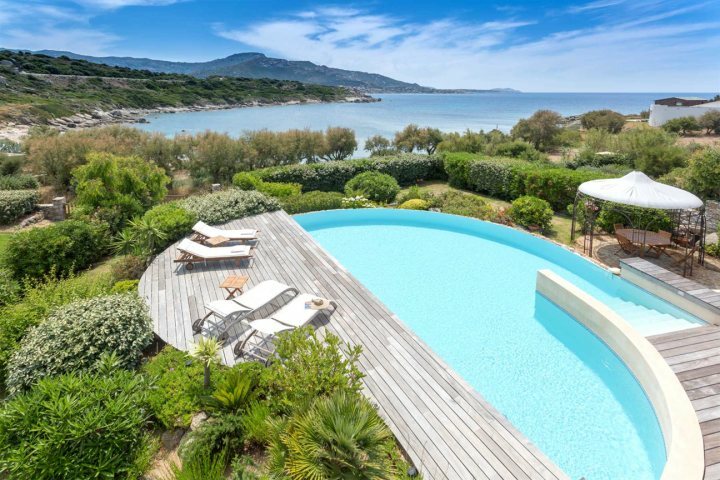 You’re also just 100m from two lesser-known sandy beaches, and just 6km outside of L’Ile Rousse for when you want to explore the town, or its glorious white sand beach. 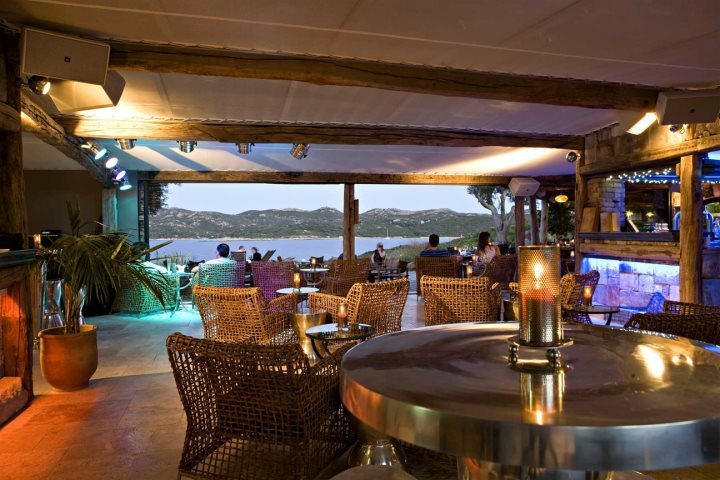 Boasting a heated infinity pool which has fantastic views across the bay and mountains, this luxurious boutique hotel offers an idyllic place to relax close to Porto Vecchio in the south. Well placed sun beds around this beautiful pool mean that you don’t need to be in the water to make the most of the views, and the stylish, modern guestrooms offer these same, panoramic vistas. This hotel is ideal for couples or honeymooners. 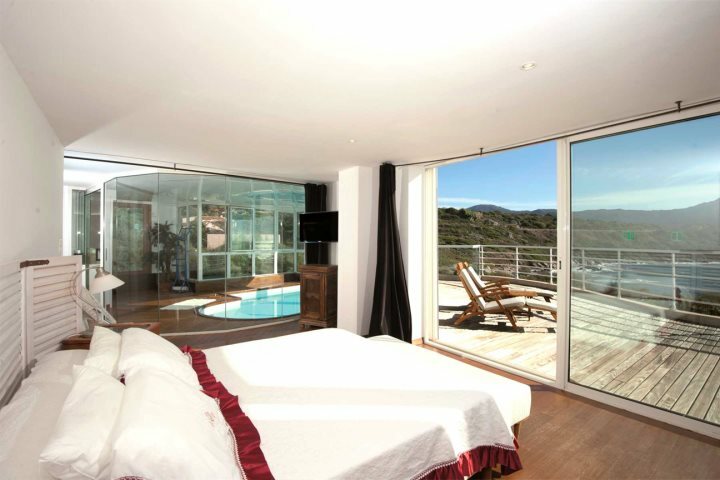 If you want to look through our accommodation to find your perfect pool, view our full list here.